Size Available: 1/32' to 3/8"
Being one of the trusted organizations in the market, we are indulged in providing a wide range of Tube Sheet Hole Radius Cutter. We have carved a niche amongst the most dominant names in this domain, instrumental in providing an excellent quality range of Radius Cutting. > Automatic Edge loading system for rolled edges with pneumatic shear for the coil cut. > Powered and automatic edge feeding at work piece infeed. Hole Reamers, Radius Cutters, Groovers, End preparation, Guides, Serrators, Facing, Belling, Flaring, Beading Hole Guages & Tube Guides, Brushes. Boiler Tube Expanders Options Standard Plain Rollers, Thrust Bearing, Roller Bearing, Firetube accessories. 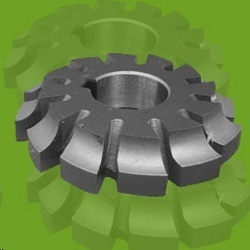 Our clients can avail from us an excellent range of Radius/Profile Milling Cutters. These products are designed and manufactured with the aid of latest technology and sophisticated machines, at our end. Convex Milling Cutters are form-relieved for milling Radius/Profiles in different types of material, with utmost efficiency. Diameter (mm): 1/2" O.D. TO 1.1/4" O.D. Efficient name in the industry involved in offering the optimum quality of Solid Carbide Corner Radius Cutter. 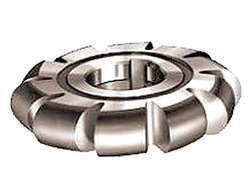 We bring forth vast industrial experience and expertise in this business, involved in offering a high-quality range of Convex Radius Cutter.